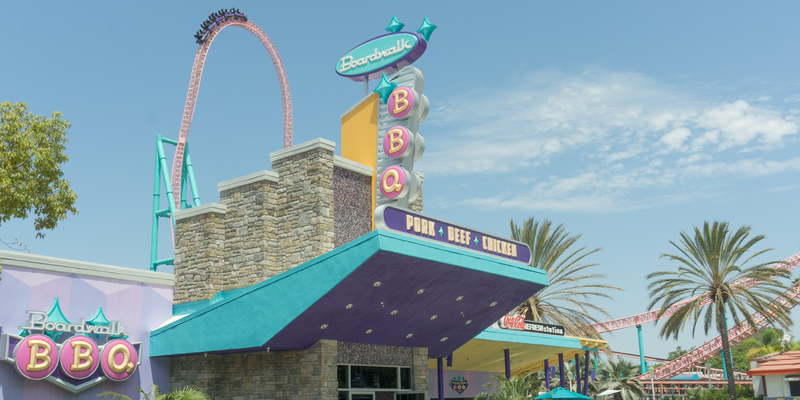 The newly remodeled Boardwalk BBQ features savory smokehouse barbecue ribs, pulled pork, rotisserie chicken, tri-tip, and more paired with classic side dishes like roasted corn on the cob, baked beans, cornbread and others. Beer is available. *Please note that dining plan options and locations are subject to change at any time.